New Books Display to Start the School Year! The first New Books display for Fall 2018 is now posted on the New Books Shelf (3rd floor of the Ische Library)! This display highlights some course textbooks for medical students as well as other titles of interest for faculty, students, and staff on two of our newest e-book resources: Access Neurology and ClinicalKey! The Hospital Neurology Book edited by Salardini and Biller, 2016. Tags: AccessNeurology, ClinicalKey, Digital Collections, E-books, E-Resource News, Medical School, New books | Anatomy, Basic Sciences, E-Book News, E-Resource News, Emergency Medicine, Family Medicine, Infectious Diseases, Medicine, Neurology, Pathology, Pediatrics, Pharmacology, Psychiatry | Permalink | Comments Off on New Books Display to Start the School Year! | Posted Friday, August 24, 2018 by Corder, Amy L.
New Books Display June 2018 – Thieme Clinical Collection! Our latest New Books Display highlights a few of the E-books in the Thieme Clinical Collections. 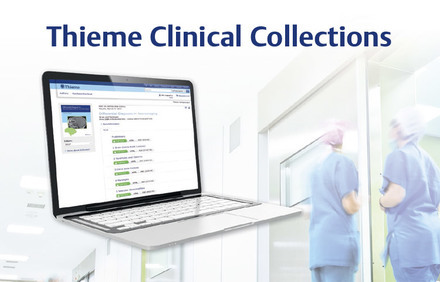 The Thieme Clinical Collections provide access to Thieme Publisher’s books for the medical specialties. The current collection includes over 600 books published from 2000-2017. Specialties include audiology, dentistry, gastroenterology, internal medicine, neurology, neurosurgery, nuclear medicine, obstetrics & gynecology, ophthalmology, orthodontics, orthopedics, orthopedic surgery, orthopedic trauma, otolaryngology, otology, pathology, pediatric neurology, physical therapy, plastic surgery, radiology, surgery, urology, and more. These E-books and many more are included in the Thieme Clinical Collections. If you have any questions about the collection or how to access our E-book collections, do not hesitate to contact a library staff member over chat, email, phone, or in person. Tags: Digital Collections, E-books, New books | Allied Health, Communication Disorders, E-Book News, E-Resource News, Medicine, Ophthalmology, Otorhinolaryngology, Pediatrics, Physical Therapy, Physician Assistant | Permalink | Comments Off on New Books Display June 2018 – Thieme Clinical Collection! | Posted Wednesday, June 13, 2018 by Corder, Amy L.
As part of our New Books Display this month, we are highlighting the Joanna Briggs Institute (JBI) E-book Collection from Ovid Books. The Joanna Briggs Institute (JBI), based in Australia and one of the premier evidence-based practice organizations in the world, has developed an evidence-based practice model that is considered a benchmark in the healthcare industry. Each of these book authors has been carefully selected for their expertise in the topic area. If you would like to read any of the E-books from this collection, search for the title in our library catalog (INNOPAC), access Ovid Books, or search our E-Journals & E-Books A to Z List. If you have any questions or would like assistance, do not hesitate to speak to a member of our Circulation Staff. Tags: Digital Collections, E-books, evidence-based practice, New books, Ovid | Allied Health, Books, E-Book News, E-Resource News, Medicine, Public Health | Permalink | Comments Off on Joanna Briggs Institute (JBI) E-book Collection | Posted Thursday, February 8, 2018 by Corder, Amy L.
This month the Isché Library is featuring some of our newest E-books on the New Books Display, located near the 3rd floor elevator. If you would like information on how to access E-books, the circulation staff would be happy to assist you. These books and many more are available for online access. The ScienceDirect EBS Collection is a group of e-books the LSUHSC Libraries have access to through June 2018. After that time, the most-used books will be added to the Libraries’ permanent collections. EBSCOhost E-books may be printed, saved, or emailed one chapter at a time. AccessMedicine E-books may be printed one chapter at a time. These are just some of the latest additions to our E-Book collection. E-Books can be accessed through our catalog and also through the various database links on our webpage. Tags: AccessMedicine, Digital Collections, E-books, Ebsco, Education-technology, New books, Ovid, ScienceDirect | Allied Health, Cardiology, Consumer Health, E-Book News, E-Resource News, Family Medicine, Infectious Diseases, Medicine, Neurology, Nursing, Pediatrics, Psychiatry, Public Health, Tips | Permalink | Comments Off on September New Books Display | Posted Saturday, September 9, 2017 by Corder, Amy L.
You never know what you will chance upon when you browse the LibraryÔÇÖs Newspaper Clippings Collection. Trolling for this monthÔÇÖs topic took me on a journey through various strange perspectives on womenÔÇÖs health. Dr. Emma Sadler Moss rejected a teaching career because she was ÔÇ£not gentle enoughÔÇØ and stood as is a?áshining example?áof a woman doing what she wants. She brushed aside the hackneyed image of the young, gentle Southern woman, preferring the allure of the medical profession, where she excelled. After a stint as a medical technologist, Dr. Moss studied for her M. D., which she earned in 1935 from LSU. From there, she earned the title of Director of Pathology at Charity Hospital, clinical professor of pathology at LSU Medical School, and President of the American Society of Clinical Pathology (notably, the first woman President of the society). Dr. MossÔÇÖ commitment to these institutions lasted for over thirty years until her death in 1970. 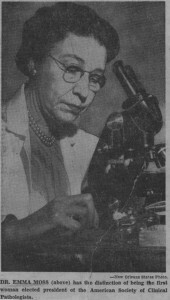 She received numerous awards for her work in pathology including being recognized as the 1954 Medical Woman of the Year and as one of ÔÇ£The Six Most Successful Women of 1955.ÔÇØ The Library owns two editions of her lauded text, An Atlas of Medical Mycology, which she co-authored with Dr. Albert Louis McQuown. A full listing of her contributions to LSU Medical School and Charity Hospital can be viewed in A History of LSU School of Medicine New Orleans. 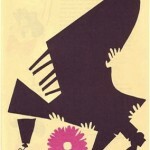 Glimpse of the Past is an ongoing project to promote the?áLouisiana Digital Library effort. This Month in History will present for your reading pleasure a closer look into a newspaper clipping of note from our Digital Collections and articles relating to the LSU Medical School. Tags: Charity Hospital, Digital Collections, Glimpse, History, This Month in History | Basic Sciences, Medicine, Nursing, Pathology, Psychiatry, Women's Health | Permalink | Comments Off on This Month in History: Don’t Just Grin and Bear It | Posted Friday, July 26, 2013 by Phillips, Holland T.
As soon as the human body became an object of study and curiosity, art attempted to render it, inside and out. The recreational artist may depict a scene of illness or portraiture, while the specially-commissioned medical artist records anatomical structure and surgical procedure for purposes of instruction, collaboration, and publishing. Well-known pioneers of the modern practice of medical illustration include Leonardo Da Vinci and Andreas Vesalius; their legacy continues well into contemporary culture in tandem with advances in photography and various other image-capturing technology to create a comprehensive visual understanding of medical practice. LSU Medical School employed its own Medical Arts Department, headed by William Branks Stewart from 1933 until his death in 1950, to observe and document cases as needed. ÔÇ£Would You Like a Portrait of Your Appendix?ÔÇØ asks a Times-Picayune article from 1946–a memorable keepsake, indeed (though you might enjoy this plush version more). Mr. StewartÔÇÖs body of art includes drawings, paintings, photographs, plaster molds, and even animations for use as visual aids in demonstration, in print, and in the classroom. Our Library has made available a digitized collection, aptly named the William Branks Stewart Collection, as a sampling of his works. In addition to his professional position as Head of Medical Arts and contributor of drawings to the LSU student-run newspaper, The Tiger, William Branks Stewart was a member of the New Orleans Arts League and the Association of Medical Illustrators. By 1946, he had illustrated eleven textbooks by LSU professors, made plastic prosthetic eyes to replace glass ones, taken moulages (plaster or wax casts) of skin lesions, and even painted names on office doors. He submitted artwork to the Delgado Museum (now the New Orleans Museum of Art), an example of which can be seen here (be sure to take a look at the inscription on the reverse side). Medical illustrations continue to be of great importance to our students as often photographs alone cannot provide a clear picture of the field under observation. Or, if you are like me, you may appreciate less “icky” renderings of our vicera. Interested in learning more about the history of medical illustration, art in medicine, or anatomy study? Be sure to take a look at our Library Catalog! Glimpse of the Past is an ongoing project to promote the Louisiana Digital Library effort. 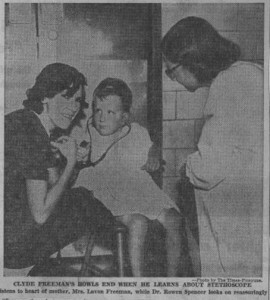 This Month in History will present for your reading pleasure a closer look into a newspaper clipping of note from our Digital Collections and articles relating to the LSU Medical School. 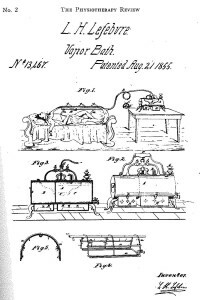 Tags: Digital Collections, Education-technology, Glimpse, This Month in History | Anatomy, Basic Sciences | Permalink | Comments Off on This Month in History: The Body of Art | Posted Friday, June 28, 2013 by Phillips, Holland T.
Integral to a discussion of health is a discussion of habit. This excerpt from Dryden points out the consequences of habit-forming. Health-wise, each personÔÇÖs habits contribute to that personÔÇÖs overall health including but not limited to how they eat, drink, smoke, and exercise. While this is now a well-known fact of life, bad habits persist. The 1960s were no stranger to poor health and heart disease. 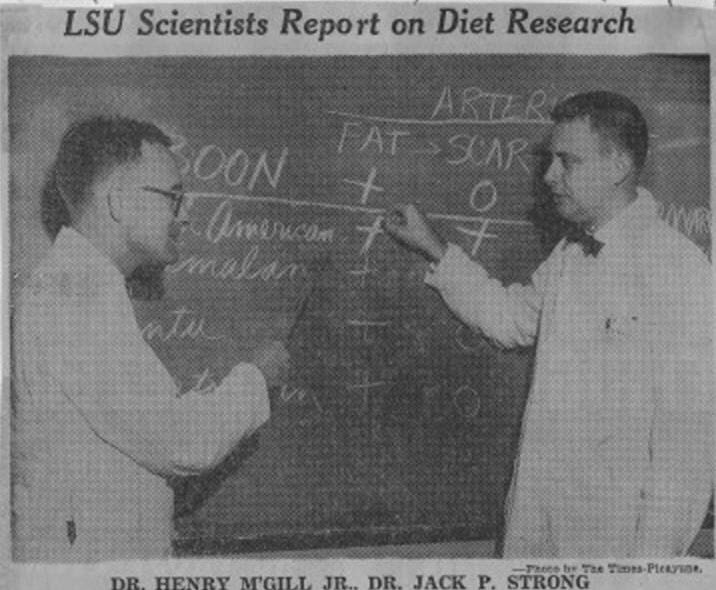 A Times-Picayune article highlights the LSU Medical SchoolÔÇÖs pathology unit of the 1960s and their research into atherosclerosis, a hardening of the arteries due to plaque formation. Dr. Jack C. Geer and Dr. Henry C. McGill, Jr. sought to study the effects of exercise and diet habits, saturated fat intake, geographic and economic environment, genetic predisposition, and stress levels on arterial health. Scientists began to understand that a low-fat diet is not enough to ensure a strong heart, but is only one aspect of leading a healthy lifestyle. 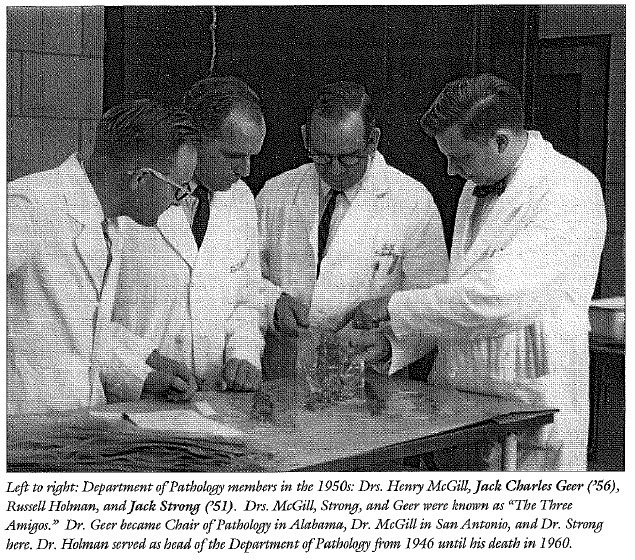 Along with Dr. Jack P. Strong, Dr. Geer and Dr. McGill were known as “The Three Amigos.” Dr. Strong would become Chair of Pathology from 1966 to 2009 and receive numerous awards and honors. Dr. Geer graduated from LSU Medical School in 1956 and took on the role of Professor from 1956-1966, eventually serving as Chair and Professor of Pathology at the University of Alabama at Birmingham. Dr. McGill served as Head and Professor of Pathology at LSU Medical School from 1960 to 1966 and became one of the founding faculty members at the University of Texas Health Sciences Center at San Antonio. According to the 2011 edition of The Merck Manual of Diagnosis and Therapy, atherosclerosis ÔÇ£is the leading cause of morbidity and mortality in the US and in most developed countries.ÔÇØ A big thanks to the work of LSU Medical School’s “The Three Amigos” for doing their part along the line of pathology research to help combat our bad habits. 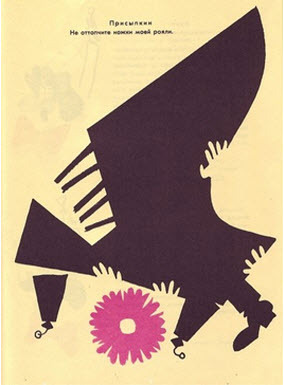 Tags: Digital Collections, Glimpse, This Month in History | Consumer Health, Medicine, Pathology, Public Health | Permalink | Comments Off on This Month in History: The Hardened Artery Blues | Posted Wednesday, May 29, 2013 by Phillips, Holland T.
A brief interlude for your busy day: Harvey the virtuoso rabbit and her YouTube accompaniment, Elissa watch?v=0NzN8ksnJhA. As you might have guessed, rabbits are not particularly adept at playing the piano (certainly not as well-attuned as a famous piano-playing cat, Nora: most-outrageous-piano-playing-cat.htm). 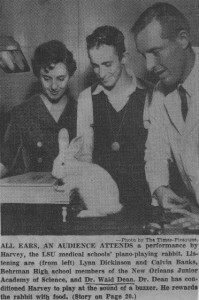 In an attempt to challenge unfair bunny stereotypes, Dr. Waid H. Dean, Instructor of Physiology at LSU Medical School, chose Harvey to prove the musical worth of her species. 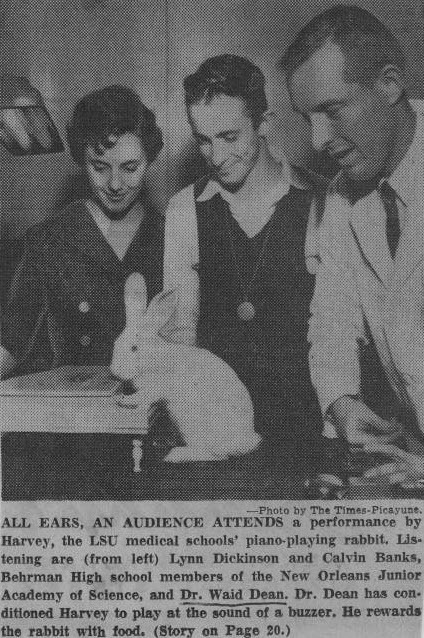 Though Dr. Dean openly admits “there is no scientific purpose to this demonstration”?á in a 1958 Times-Picayune article, he says the rabbit’s performance “is merely to demonstrate that animals can be trained to respond to signals.” As with many high-achieving parents, Dr. Dean is not easy to please and expects the best from his tiny Leporidaean maestro. Harvey cannot live up to expectations, however–quickly tiring out after a couple of notes and anxious for her next treat. Though she may not be 6 feet 3 inches tall like another famous Harvey, she is decidedly more cuddly. On that note, Happy Spring from the staff at John P. Ische Library! Tags: Digital Collections, Glimpse, History, This Month in History, video | Observances | Permalink | Comments Off on This Month in History: Enjoy Rabbits Playing Piano | Posted Thursday, March 21, 2013 by Phillips, Holland T.
As a Louisiana native or even an adventurous visitor, youÔÇÖve probably fed an alligator a marshmallow or two. WhatÔÇÖs the allure of marshmallows to a wild swamp creature? We may never truly know, but for an animal that will scarf down turtle shells, rocks, lures, beer cans, and shoes, marshmallows are probably the least of its worries. 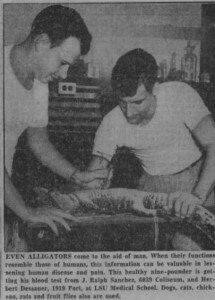 Though certainly fearless, these doctors chose smaller gators to reduce the risk of injury, and by the time the animals reached a rowdy 20 pounds, they were returned to the swamp. Because alligators produce a large amount of hydrochloric acid during digestion, they perform a more dramatic and more readily observable process of digestion. Alligators are also tougher physically and less prone to blood poisoning, making them easier to study. In addition to their excellent acid production, the test gators self-induced a sort of hibernation in winter despite the fact that researchers kept them in windowless rooms with automatic lights; by abstaining from food and decreasing sugar in the bloodstream, the test subjects did not grow. 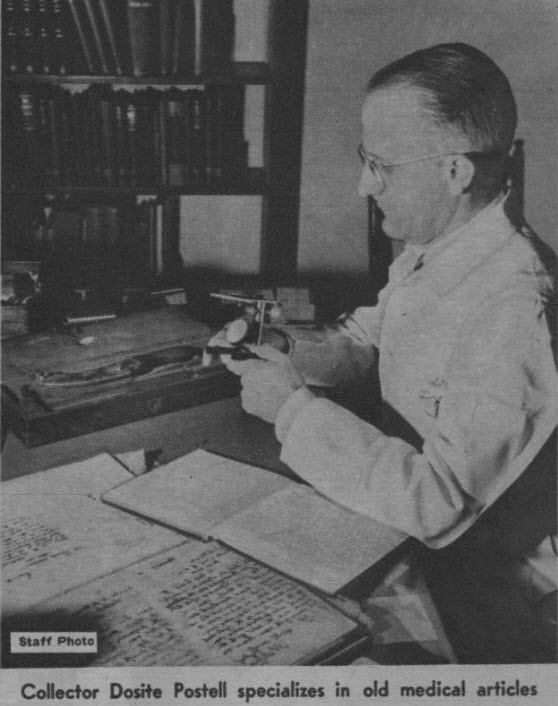 The practical application of the research of the “alligator men” may not seem readily apparent, but as Dr. Coulson explains in the newspaper article, ÔÇ£The scientist doesnÔÇÖt have to be working toward the cure of any specific malady [ÔÇª] but often he stumbles upon it by accident, through just a study as ours.ÔÇØ They developed enough material to write numerous journal articles (PubMed author search results hyperlinked above) and monographs. Two books co-authored by Dr. Coulson and Dr. Hernandez are available in the Library: Alligator Metabolism: Studies on Chemical Reactions in Vivo and Biochemistry of the Alligator: A Study of Metabolism in Slow Motion. Dr. Herbert Dessauer, who began as a humble graduate student and would go on to become Professor Emeritus of molecular biology at LSU Medical Center, passed away earlier this month after a brief illness. We would like to recognize his contributions to not only the scientific community, but also to LSU. ?á For more information on the contributions of each of the renowned doctors mentioned in this post, please consult A History of LSU School of Medicine New Orleans, which is available in the Library. When you stop by, be sure to check out our display cases, which are home to various medical artifacts including an analytical balance used by Coulson, Hernandez, and Dessauer. Tags: Digital Collections, Glimpse, History, Medical School, This Month in History | Anatomy, Basic Sciences, Books, Pharmacology | Permalink | Comments Off on This Month in History: The Alligator Men | Posted Friday, February 15, 2013 by Phillips, Holland T.
In America, methods of care for our mentally ill have become intertwined with the politics of universal healthcare, hospital administration, and prevention of violent crime, all of which suffer under an increasingly budget-cut government. This issue is not a new one, however. The Newspaper Clippings Digital Collection of the Isch?® Library shows an emerging pattern: a pattern of need. 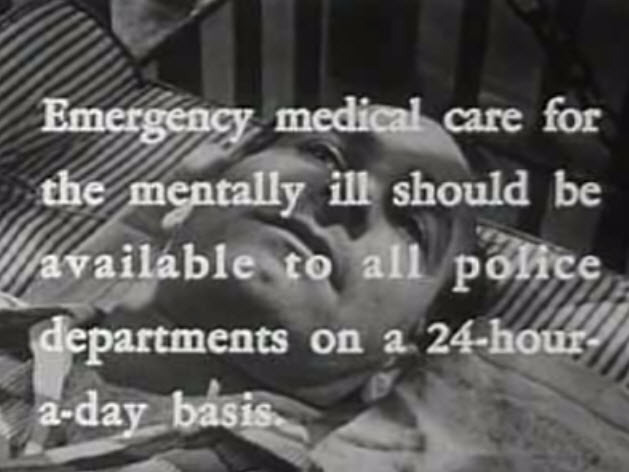 Hospitals and treatment centers need enough beds for psychiatric patients; hospitals need staff to treat those patients; police officers, clergy, and even the general public need training to assess and assist the mentally ill.
Linkages of mental illness and criminal tendencies also surface. In recent news, LSU psychiatrist Dr. Jose Calderon-Abbo joined the vice presidentÔÇÖs task force on gun violence; he has also partnered up with Tulane public health criminology expert Dr. Peter Scarf to present a paper of similar topic to the House Subcommittee on Crime, terrorism, and Homeland Security at a hearing on The Youth Promise act. Not only do mental illness and crime sometimes occur simultaneously, but those charged with apprehending the mentally ill are often the same people who apprehend criminals. 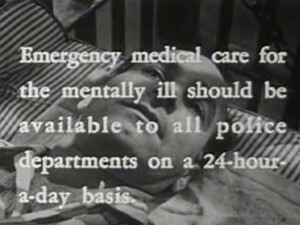 ?á One of our newspaper clippings from 1961, entitled ÔÇ£How Police Can Help Mentally Ill,ÔÇØ addresses the need for officers of the law to be properly trained on how to interact with, assess urgency of treatment for, and detain suspects who appear to be suffering from illness, loss of competency, or loss of sanity. The clergy are often called upon to assist the mentally ill; one article, ÔÇ£Help of Clergy Asked by Many: Role of Churchmen for Mentally Ill Cited,ÔÇØ explains how the clergy ought to be well versed in tactics to understand and aid their congregations. Examples of tactics used to interact with those in need in the include: a manual from 1954 ÔÇ£How to Recognize and Handle Abnormal PeopleÔÇØ by Robert A. Matthews and Loyd W. Rowland, former director of the Louisiana Association for mental health and former Head of the department of psychiatry and neurology, ?áin addition to a 1960 New Orleans officer training film, ÔÇ£Booked for Safekeeping,ÔÇØ produced by George C. Stoney. In 1961, the name of the game was “expedite”: complex legislature required the approval of a hospital director, an order of commitment signed by the coroner, a psychiatrist, and a responsible party, and approval from a civil judge. Convoluted commitment laws and lack of funding for psychiatric facilities and staff were concerns at this time, but these concerns continue today as the Greater New Orleans area loses beds at Charity Hospital and MandevilleÔÇÖs Southeast Louisiana Hospital. Tags: Digital Collections, Glimpse, History, Louisiana, Medical School, This Month in History | Medicine, Neurology, Psychiatry | Permalink | Comments Off on This Month in History: A Nation of Neurotics | Posted Monday, January 21, 2013 by Phillips, Holland T.
Do you ever drink water from the opposite side of the glass to cure hiccups or apply duct tape to a wart or spray Windex on a zit? These are just a few examples of therapeutic home remedies, but where do they originate? A collector of ÔÇ£weird-lookingÔÇØ medicinal gadgets and medical historian, Mr. William Dosite Postell, is the star of our highlighted article this month. Former Librarian of the LSU Medical School, Mr. Postell was a Will of all trades: as he believed, ÔÇ£There is a little bit of the clinician, the research worker, the medical historian, the medical philosopher, the bibliophile, as well as the custodian and the library technician, in each successful librarian.ÔÇØ Though his career at LSUMS was principally one of librarianship, Postell was able to branch out from that role, becoming a scholar of wacky medical wares like cholera baths and mad dag stones. 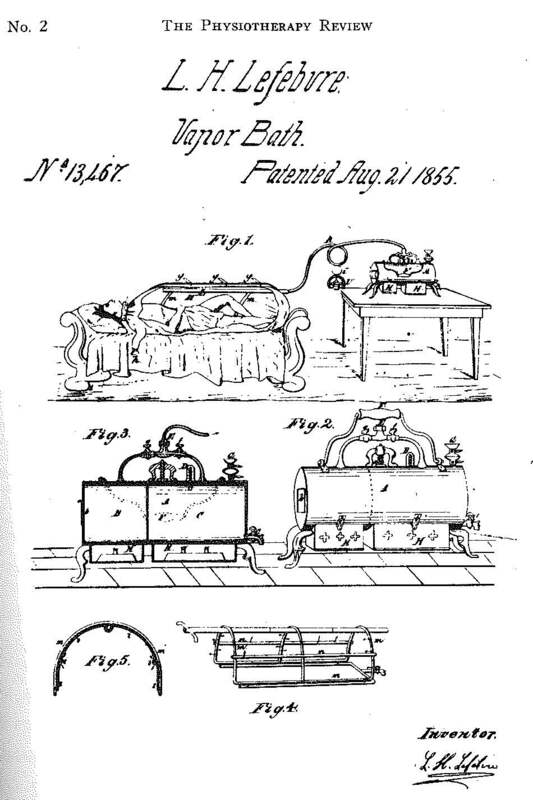 One outdated cure is the ÔÇ£vapor bath,ÔÇØ invention of a Louisianan, Dr. Louis H. Lefebrve. Depicted in the drawing here, Postell found an early bath in the possession of the Prudhomme family of Natchitoches, Louisiana on one of his excursions to area antebellum plantations. The bath utilized sulphuric acid to assuage the effects of cholera. The story of the madstones or ÔÇ£bezoarsÔÇØ comes from the frontier. These stony hairball-like concretions were taken from the stomachs of deer, cows, or goats and placed on a bleeding wound to draw out poisons like those from the rabies virus or snake venom. In modern medicinal practice, the bezoar is considered a serious health risk in gastrointestinal tracts of humans and has lost its curative mythos (unless, of course, you live in the Wizarding World of Harry Potter, where the bezoar cure is alive and well). Stop by the Isch?® Library sometime and let us graciously and competently show you the wonderful resources at your fingertips! If you are interested in reading PostellÔÇÖs work, the LibraryÔÇÖs holdings include: Applied Medical Bibliography for Students, The Development of Medical Literature, and The Health of Slaves on Southern Plantations. Tags: Digital Collections, Glimpse, History, Louisiana, Medical School, This Month in History | Medicine | Permalink | Comments Off on This Month in History: The Remedies of Mr. William D. Postell | Posted Wednesday, December 19, 2012 by Phillips, Holland T.
Despite the resemblance, Dr. Rowena Spencer explains, children are not tiny adults; indeed, ÔÇ£Children are like little chickens. They like to know their way around.ÔÇØ As one of the first women in the country to specialize in pediatric surgery as well as the first woman appointed to the surgical staff at the LSU Medical Center and the first female surgeon in the state of Louisiana, Dr. Spencer proved a wonderful asset to any hospital. Her bedside manner set her apart as a surgeon of unparalleled worth. A forerunner for females in the surgical arena, Dr. Spencer faced some adversity, though she did not appear to dwell on this issue. She persevered to become a respected member of the medical community at a point in history rife with tension over not only the presence of women in the medical field but also African-Americans. At Johns Hopkins University, where she earned her M.D. in 1947, Spencer was in good company. She studied under Dr. Alfred Blalock and his laboratory technician, Vivien Thomas. 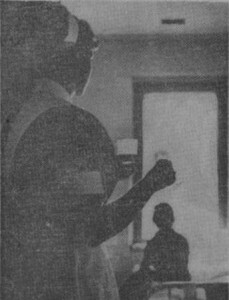 Thomas, an African-American with little formal education, played an integral role in helping save those suffering from ÔÇ£blue baby syndrome.ÔÇØ Another partner in this discovery was Helen Taussig, founder of the field of pediatric cardiology and first female president of the American Heart Association. The work of Blalock, Thomas, and Taussig on the heart is immortalized in a PBS production, ÔÇ£American Experience: Partners of the HeartÔÇØ(2002), and in a Hollywood production, Something the Lord Made (2004). Dr. Spencer would continue their work on infant patients, making a name for herself as an authority on conjoined twins. Examples of her work include many articles such as: ÔÇ£Parasitic Conjoined Twins: External, Internal, and DetachedÔÇØ and ÔÇ£Congential Heart Defects in Conjoined Twins.ÔÇØ An autographed copy of her text, Conjoined Twins: Developmental Malformations and Clinical Implications, is available for checkout at the Library. Dr. Spencer has also had the honor of being featured in a publication entitled, Louisiana Women: Their Lives and Times. Her chapter, ÔÇ£A Study of Changing Gender Roles in Twentieth-Century Louisiana MedicineÔÇØ by Bambi L. Ray Cochran, appears alongside essays on Marie Therese Coincoin, Oretha Castle Haley, and many others in a fitting tribute to their contributions. Dr. Spencer recently celebrated her 90th birthday. Tags: Digital Collections, Glimpse, History, Images, Louisiana, Medical School, Rowena Spencer, This Month in History, Times-Picayune | Cardiology, Medicine, Pediatrics | Permalink | Comments Off on This Month in History: Dr. Rowena Spencer and Her Little Chickens | Posted Thursday, November 15, 2012 by Phillips, Holland T.
A young, bespectacled version of the Wizard of Oz, Dr. Frank N. Low, lived up to the great and powerful legacy as a member of LSUMCÔÇÖs anatomy faculty, venturing behind the Iron Curtain in 1958. His travels came at a time of international tension, but in the name of science, Dr. LowÔÇÖs survey of electron microscope usage in laboratories across Europe proved invaluable in transcending the iron divide and promoting cross-cultural cooperation. Remarking on the ÔÇ£exoticÔÇØ subway of Moscow, the ÔÇ£finely developedÔÇØ Russian sense of humor, and the popularity of the play, ÔÇ£Klop” the Bedbug, in his interview with the Times-Picayune, Dr. Low appears to have enjoyed his surroundings overseas. 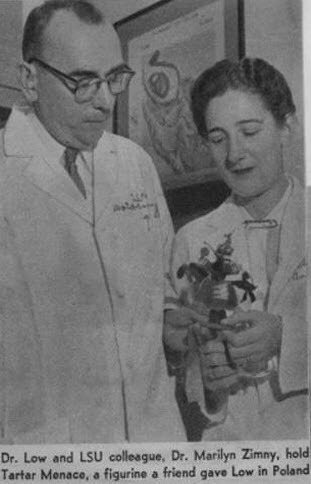 He even brought home an object known as the ÔÇ£Tartar MenaceÔÇØ that would turn out not only to be lucky for Low, but also for his research assistant, a previous ÔÇ£Glimpse of the PastÔÇØ honoree, Dr. Marilyn Zimny, who upon receipt of the figurine received news that she had been awarded a research grant for $28,000. The ÔÇ£Tartar MenaceÔÇØ appears to refer either to a group of indigenous Mongol peoples called the Tatars or Tartars, or the Greek myth of Tartarus, a section of the underworld. Despite its violent etymology, the figurine kept Dr. Low safe from even a stubbed toe on his journey. Tags: Digital Collections, Glimpse, History, Images, Louisiana, Medical School, This Month in History, Times-Picayune | Anatomy, New Find | Permalink | Comments Off on This Month in History: Pay No Attention to the Doctor Behind the Iron Curtain | Posted Monday, October 15, 2012 by Phillips, Holland T.
This Month in History: Trading the Mrs. for an M.D. In honor of those nursing students plowing through history papers this week, here is a little piece of LSU Health Sciences Center history on the role of women in medicine. Though the word ÔÇ£invasionÔÇØ might connote a hostile takeover or an alien attack, for those who witnessed a new trend in medical student populations post-World War II, ÔÇ£invasionÔÇØ spoke to the influx of females in the medical fieldÔÇönot a case for either the armed forces or Special Agents Mulder and Scully, but certainly an opportunity for marked advances in modern science. This article from the New Orleans States (a newspaper subsumed by the Picayune in 1980) from September 1946 marks an important milestone in our institutionÔÇÖs history as twenty female students enrolled in their first-year of medical school at LSU, surpassing the thirteen of the previous year. The reasoning behind this onslaught of female M.D. candidates seems to follow on the wake of the recent war: ÔÇ£There is no telling what would have happened to their dreams of a profession if the right man had been attending classes at college with them instead of fighting a war, most of them agreed.ÔÇØ While the availability of Mr. Right may have been postponed, the drive of these women to pursue a medical career (perhaps a less intuitive path according to the social norms of the late 1940s) cannot be denied. Citing the greater freedom and social mobility of the times in addition to the general indifference of their professors and male peers on the growing female presence in the classroom, these women transcend the ÔÇ£vague motivesÔÇØ of the ÔÇ£feminine vogue for wearing a doctorÔÇÖs insigniaÔÇØ to participate within our history. Perhaps bolstered by the popular figure of Rosie the Riveter, a new class of professional care-givers is subjected to the rigors of a medical education and the horrors of the cadaver lab. One such empowered and notable woman pictured in this piece is Ms. Jean Persons, who would go on to become one of AlaskaÔÇÖs best known pioneer doctors and who published a memoir in 2007: From Dog Sleds to Float Planes: Alaskan Adventures in Medicine. You can read the glowing Amazon reviews here. In a time of tuberculosis and remote citizenship, Dr. Persons ÔÇ£was a petite single woman tackling a job most men would run from,ÔÇØ and so she stands as a measure for all those who follow, a prime example of not only female physicians, but of all LSU Medical School graduates. 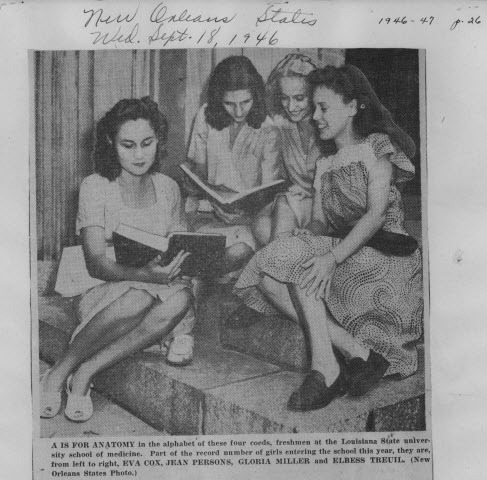 Tags: Digital Collections, Glimpse, History, Images, Louisiana, Medical School, New Orleans States, This Month in History | Medicine, New Find | Permalink | Comments Off on This Month in History: Trading the Mrs. for an M.D. 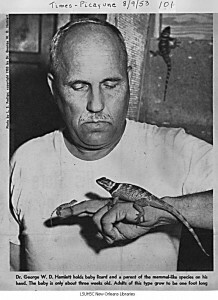 | Posted Tuesday, September 18, 2012 by Phillips, Holland T.
Ever wondered how to catch a lizard? You might think to consult wikiHow or you might look up an instructional video on YouTube. Consulting our Digital Collection of newspaper clippings, however, would reveal quite an interesting portrait of a rugged, LSU Indiana Jones in pursuit of a rare treasure: the live-birthing lizard. 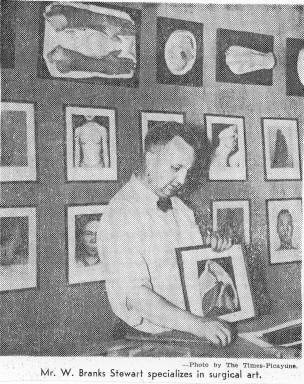 In 1953, the Times-Picayune ran an article on one Dr. George W. D. Hamlett, faculty of the LSU Medical School Department of Anatomy, whose research practices involved catching his subjects in the American Southwest rather than in a lab. Nets are all well and good for the casual lizard hunter, but Dr. HamlettÔÇÖs methods included an elaborate system of hammer, chisel, stick noose, and rifle. In order to capture the illusive live-birthing female lizard, he donned the traditional gear: khakis, hiking boots, and traded a fedora for a sun hat; armoring himself thus, he chiseled lizards out of rock formations and sought the mammal-like desert lizard among the trees. His interest in these lizards lay in their ability to produce young not through external development in an egg, but within the female of the species, an oddity for the reptile. Though Dr. Hamlett lacked the Indiana Jones bullwhip and the characteristic fear of snakes, his adventures were nevertheless harrowing. The character of Dr. Jones is perhaps based on Sir Arthur Conan DoyleÔÇÖs character, Professor Challenger (a figure in turn based on his own Professor Sir William Rutherford) who is famous for having combined several areas of study such as archaeology, anthropology, and zoology in the pursuit of a totalizing knowledgeÔÇöÔÇ£Science seeks knowledge. Let knowledge lead us where it will, we still must seek it. To know once for all what we are, why we are, where we are, is that not in itself the greatest of all human aspirations?ÔÇ£(When the World Screamed). In the same way, Dr. HamlettÔÇÖs study of embryology continued on many divergent paths as he explored the complexities of the long-tongued bat, the badger, the armadillo, the cat, the coyote, and the American monkey, finally culminating in his study of humans. ?á Some of his published works, ÔÇ£Embryology of the Molossoid Bat,ÔÇØ ÔÇ£Some Notes on Embryological Technique,ÔÇØ and ÔÇ£Human Twinning in the United StatesÔÇØ can be accessed through PubMed. Though the similarities between Dr. Hamlett and Dr. Jones may not be many, there is an air of adventure to every quest for knowledge. Why can the scientist not leap across cliff faces and come to the rescue every now and then? But please be aware that there are no catacombs beneath this libraryÔÇÖs floorÔÇöyouÔÇÖll have to go to Venice for that. Tags: Digital Collections, Glimpse, History, Images, Louisiana, Medical School, This Month in History, Times-Picayune | Anatomy, Basic Sciences, New Find, PubMed | Permalink | Comments Off on This Month in History: Dr. Hamlett & Zoological Treasure Hunting | Posted Wednesday, August 15, 2012 by Phillips, Holland T.